Amin Abdul Majid is a partner of Zaid Ibrahim & Co. (a member of ZICO Law). Amin has more than 10 years’ experience providing legal and strategic commercial advice in the development of major projects and infrastructure in Malaysia and overseas. He also advises on various corporate and commercial matters and has experience in drafting legislation. 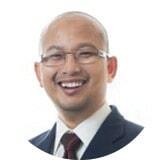 Prior to joining the firm in 2011, Amin was head of the legal unit of the Planning Division of Tenaga Nasional Berhad, the Malaysian national electricity utility. He was also a litigation lawyer in a medium-sized firm in Kuala Lumpur before his stint in Tenaga Nasional Berhad. Master of Jurisprudence in Energy Law from the College of Law, Tulsa University, U.S.A.